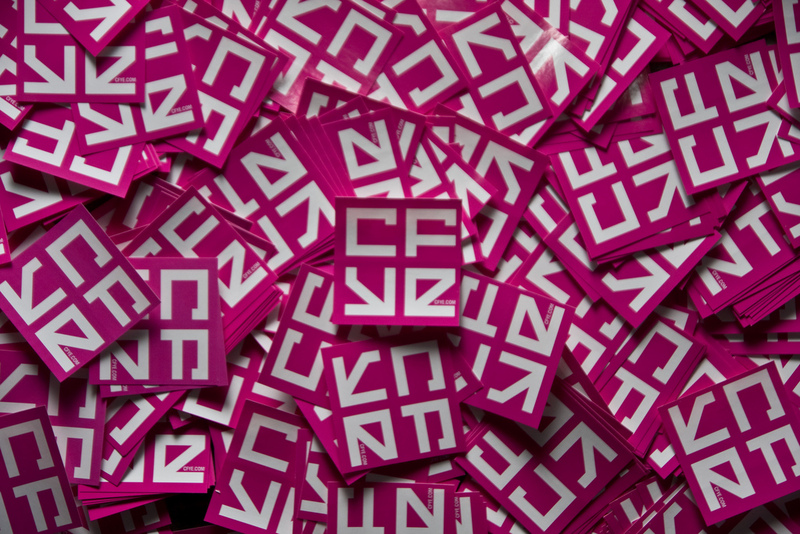 Unlike normal paper printing jobs, stickers and decals require a more specialized approach. Both are printed on a variety of different materials, and can have a wide range of uses. When printing stickers and decals, there’s a lot to take into consideration, like what type of material will be best for the job, why type of color to use, and what your stickers will be used for. To get the most bang for your buck, here are a few tips for printing stickers and decals that’ll ensure your finished product looks as good in real life as it did on the screen. Gone are the days of painstakingly scratching and scribbling away with different pens and pencils…well, they’re not entirely gone, but most designers use a digital sketchpad or drawing tablet in the early stages. Nowadays, most sticker and decal design, from beginning to end, is done on computers. This makes creating a finalized design much easier and also provides you with working templates that you can alter as the design process progresses. Many designers use computer programs such as Adobe Photoshop or Illustrator, some type of vector tracing program, or a combination of many different design software. Ultimately, it depends on the project and personal preference, but using all the tools and programs at your disposal will help streamline the design process. During the design process, color plays an extremely important role. 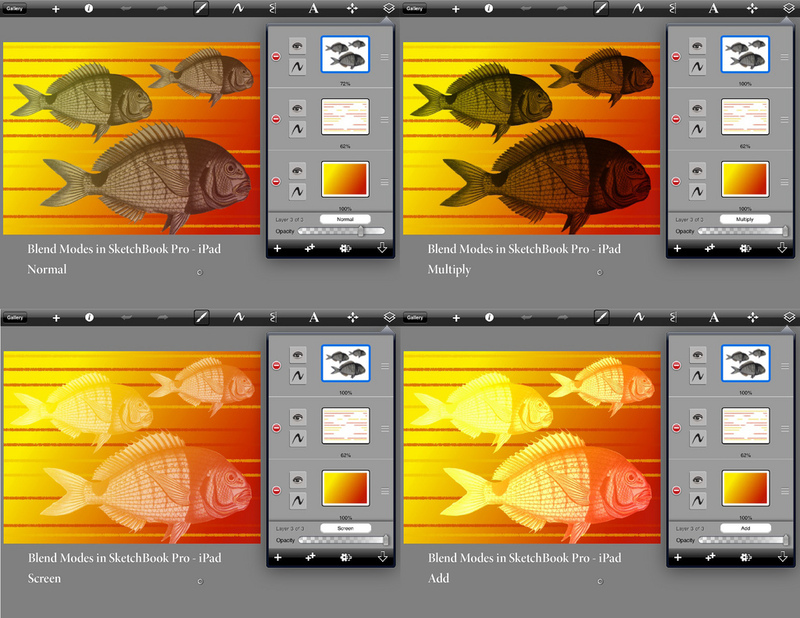 Knowing what colors you want to work with beforehand will make it easier. Of course, which ones you choose are ultimately up to you: some color schemes can elicit a wide range of emotions, create a simple harmony, and make words jump out on a page, while others can represent the seasons or have cultural significance. There are also ways to use color to clearly communicate a message, while others are a bit more subtle and leave things open to interpretation. For more information, check out this article on basic color theory. Since stickers and decals are printed on unique materials, color often plays a large role in the quality of the finished product. In order to offer the highest quality imaging possible, stickers and decals are printed using the CMYK (cyan, magenta, yellow, black) color format. Utilizing this small combination of colors, printers can create extremely intricate designs by printing tiny dots of color to then create shading. Choosing the proper color values will impact your finished product, so be sure to take this into consideration when creating a design. Using a pantone color guide will help illustrate exactly how the colors you choose will look printed in the CMYK format. However, if you do choose to go with pantone colors, you’ll need to use the flexographic or silk-screened process to print them. We’ll explain these processes a bit further down. If you want your sticker or decals to look smooth with no rough edges or pixelation, then you need to pay attention to the resolution of your photos during the design process. This will ensure that your final product will look exactly the way you had in mind. Most places that print high-quality stickers and decals will require that your design have a resolution of at least 300DPI (dots per inch), and the higher the resolution, the better the picture quality. Resizing or reducing images should be avoided at all costs, because doing so will greatly reduce image quality. If for some reason you do need to resize your image, many programs such as Adobe InDesign or Illustrator have a resampling option that will adjust both the pixels as well as the image. Preparing your artwork for print can be an extremely detailed undertaking, but the more work you put into it on the front end the easier the process will be. For more information on image resolution for printing stickers and decals, check out this in-depth guide on preparing your artwork for print, as well as this detailed explanation of the differences between vector and raster images. Choosing the right material will depend on what your stickers or decals are going to be used for. If you’re printing stickers to be used as barcodes or small decals for products, consider having them printed on glossy paper to keep costs down. If you want your decals or stickers to stay in top shape even while out in the elements, consider printing on vinyl or a sturdier material that won’t fade or tear. Also take into consideration the amount of stickers you will be printing, and how that may affect your choice of material. 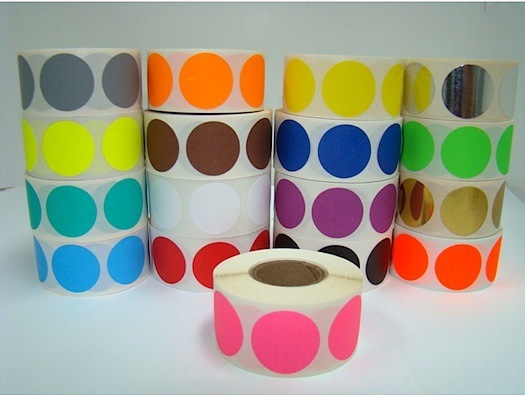 For example, if you’re printing a large quantity of stickers, you may want to have them printed on a roll. Depending on the type of materials you’re using to print your stickers or details, you can also laminate them to improve their lifespan. When printing window stickers, do you want them to be stuck on the inside of the window facing out, or do you want them to be stuck on the outside facing out? When printing packaging or food stickers, will the sticker touch food? Please note: These types of stickers may be applied by machine, in which case you should talk to your packaging company to know which direction the roll needs to be in when it is put into the machine. Will the sticker be frozen? How long should your stickers last? Do you want your stickers to be removable or permanent? High Tack: For stickers that you really want to stay put, or ones that your expect will go onto an extremely smooth and finished service, high tack adhesive is a good choice. Static Cling: If you want your decals to stick without risking ruining the surface they adhere to, static cling adhesive is a great option. This type of adhesive uses static electricity to hold graphics to windows and smooth surfaces. Removable: This type of adhesive is used on stickers that are expected to eventually be removed, such as bumper stickers or promotional window decals. Rough Surface: Just how it sounds, rough surface adhesive is used for stickers that will be placed on gritty, textured surfaces. Using a combination of rough surface adhesive and a flexible vinyl material will ensure your stickers and decals stay put on any surface. Permanent: For labels or stickers that aren’t supposed to be removed, permanent adhesive will keep them on any surface for as long as possible. This is a great type of adhesive for helmet stickers, safety decals, road signs, and more. High-End and Standard Digital Printing: High-end printing works great for projects of up to 5,000 stickers and decals, and your designs can also be die cut to special shapes. The high-end printing process can take up to a week, but the results are well worth it. Standard digital printing is great for smaller batches, and things that don’t require such precision, like straight cut stickers and decals, non-waterproof product labels, and name tags. Flexographic Printing: This process takes the longest but works great for projects where you need to print larger quantities, such as 10,000 or more stickers or labels. Flexographic printing is modeled after the old-fashioned printing press, and uses plates to create extremely detailed prints. It also allows you to print on nearly any type of material imaginable. Large Format Printing: This type of printing can be used to create anything form a billboard to a vinyl car wrap, and even small cut-to-shape stickers. While the quality is not as good as high-end digital printing, this is a great option for smaller runs or for projects that have a quick turnaround. Hot Stamped Stickers: Hot stamped stickers are a classy option for foil images, or simple stickers with only one or two colors. Although the production time can take around a week, stamped stickers can make the perfect labels for a high-class product. Remember, this list is just a guide, and the devil is always in the details, but keeping all of these things in mind will enable you to make informed decisions when designing and printing stickers and decals. If you’re considering printing stickers and decals, be sure to contact one of the professionals at PrintPrint, and let one of our specialists help you weigh up all of your options.